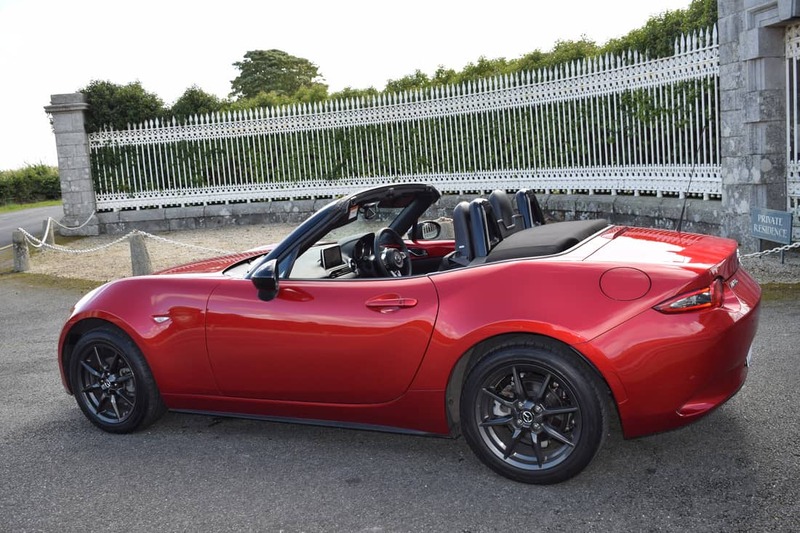 The fourth generation Mazda MX-5 enhances the pure joy of driving with a superior power-to-weight ratio, rear-wheel drive and more comfort and technology. 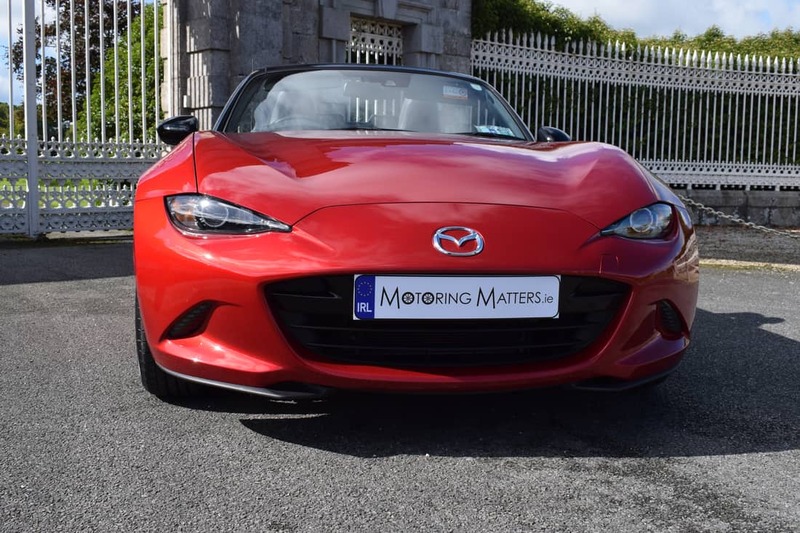 Mazda’s signature KODO (Soul of Motion) design gives the new Mazda MX-5 a more aggressive and sculptured look, while retaining the classic roadster cues of a sleek bonnet, set-back seating and a short rear overhang. In fact, one look at the new Mazda MX-5 is enough to set pulses racing. The all-new Mazda MX-5 has perfect 50:50 weight balance and a lower centre of gravity, giving it the advantage of responding precisely as the driver intends. It is also lighter than the previous generation, offering extra performance, improved fuel efficiency and reduced emissions. Mazda’s MX-5 is the World’s best-selling two-seat sports car and it has earned iconic status in its 28-year history. 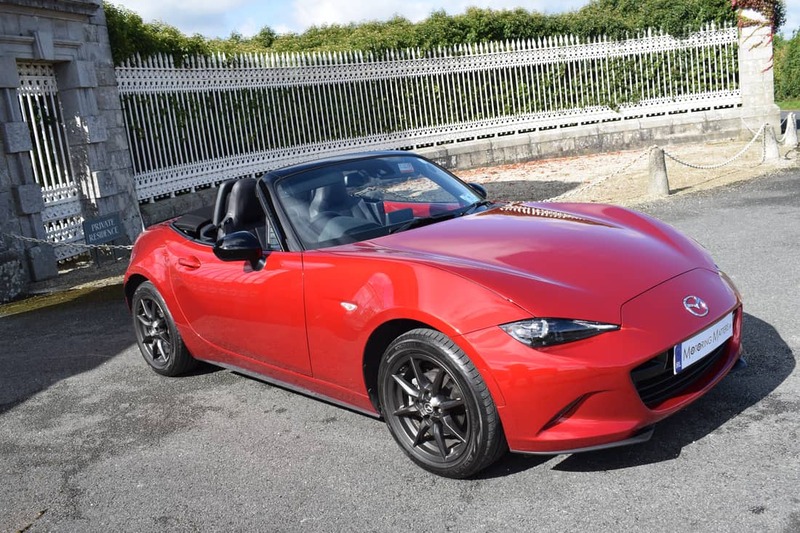 Mazda’s new MX-5 Roadster is available in 2 trim levels – a standard Roadster and a Roadster GT. 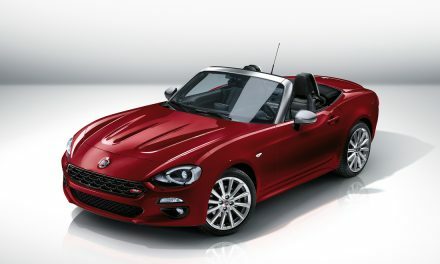 The Roadster model is well equipped and features 16” alloy wheels, LED headlights, automatic air-conditioning, 7” touchscreen, digital radio with 6 speakers, Bluetooth, USB & AUX ports, multimedia commander, electric windows, dynamic stability control, front & side airbags, immobilizer, alarm and cruise control. Upgrade to the Roadster GT and you will also get adaptive front headlights, leather interior, lane-departure warning system, smart-key entry, rear parking sensors, heated seats, 16” Gun-Metal alloy wheels and a BOSE sound system with 9 speakers. A manually operated fabric roof comes as standard on both models and is very easy and quick to put up or let down. 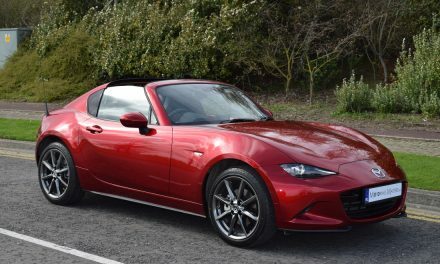 Mazda also offer a RF (Retractable Fastback) model in the new MX-5, but it is the Roadster GT that was my test drive car for this appraisal. 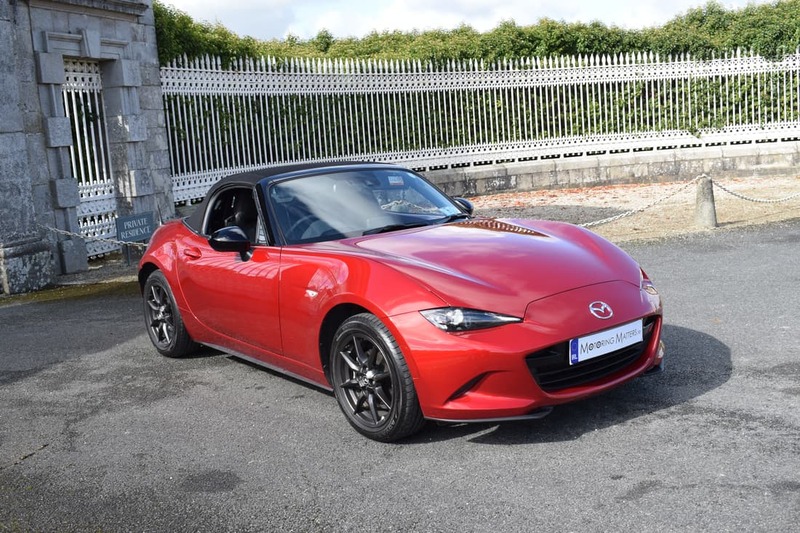 Just one engine is available in the new Mazda MX-5 – a 1.5-litre, direct fuel-injected & naturally aspirated, four-cylinder unit with 129bhp and 150Nm of torque. This SKYACTIV-G engine is punchy, sounds great and is well matched to the chassis. A six-speed manual gearbox is standard and there is no automatic gearbox option available. Annual road tax for the new MX-5 is just €280 thanks to low Co2 emissions of 139g/km. A fuel return of up to 47.1mpg is possible on a combined driving cycle. 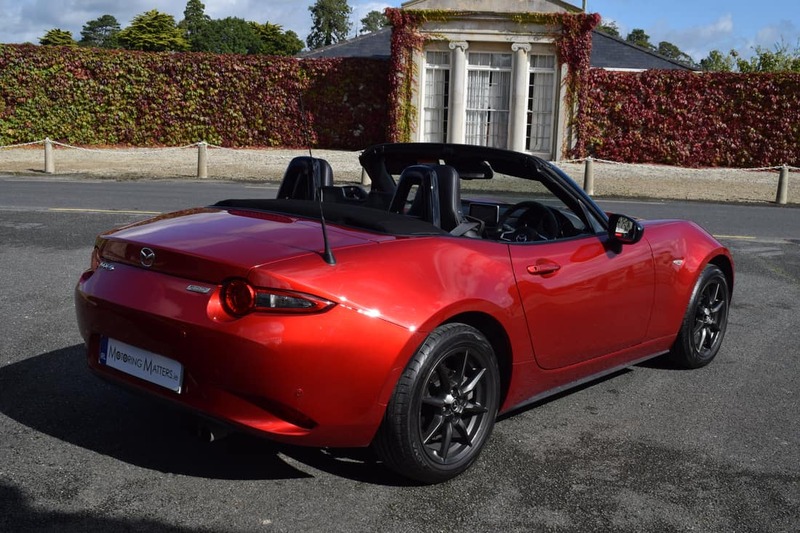 The MX-5’s design is more about perfect proportions than endless slashes, creases and vents in the bodywork. 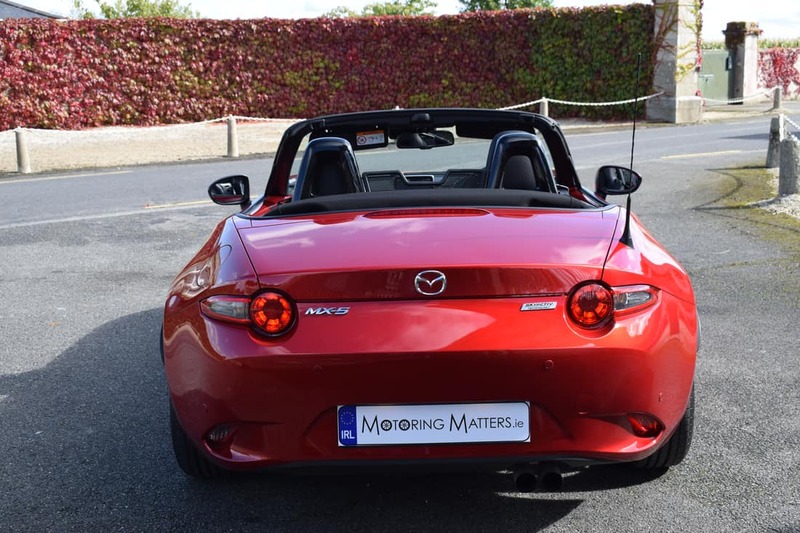 Mazda’s designers have worked hard to introduce a more muscular and squat stance on the road than the previous generation MX-5, making the car 10mm lower overall with a 15mm shorter wheelbase and overhangs reduced by 45mm at each end. 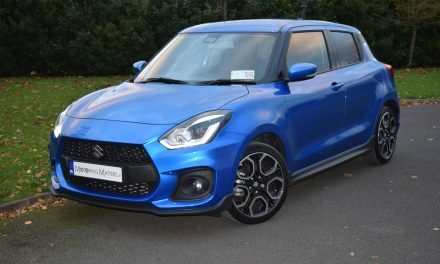 Slim LED headlights and a gaping front grille give it a slightly more aggressive character than previous versions, while round tail-lamps provide a striking light signature in the dark. 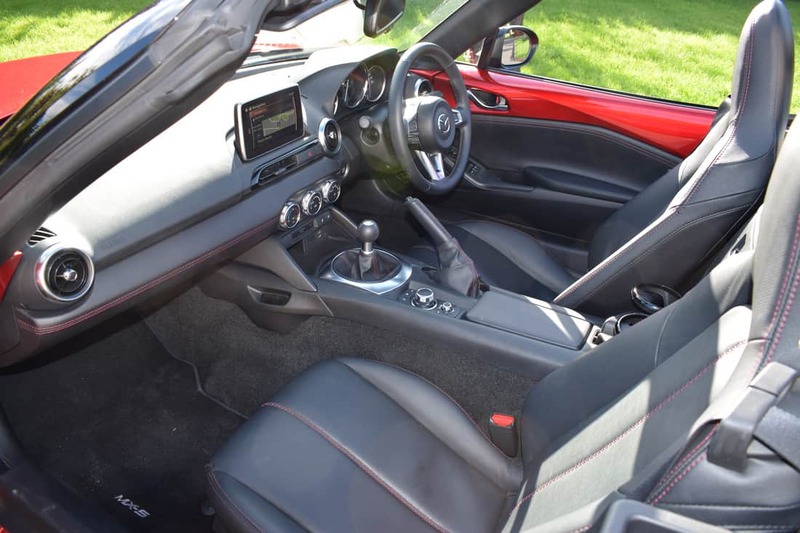 Whether the roof is up or down, the MX-5 has a classic silhouette, with the cockpit located towards the rear of the car and a long bonnet stretching out in front. 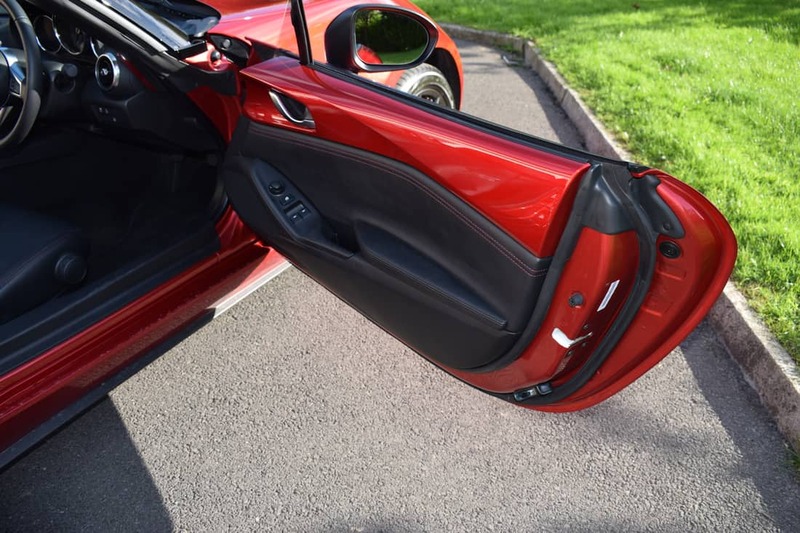 Whichever model you go for, on the inside, the door tops are coloured to match the exterior paint, adding a flash of colour to the cabin and – according to Mazda – visually connecting the driver to what’s going on outside. 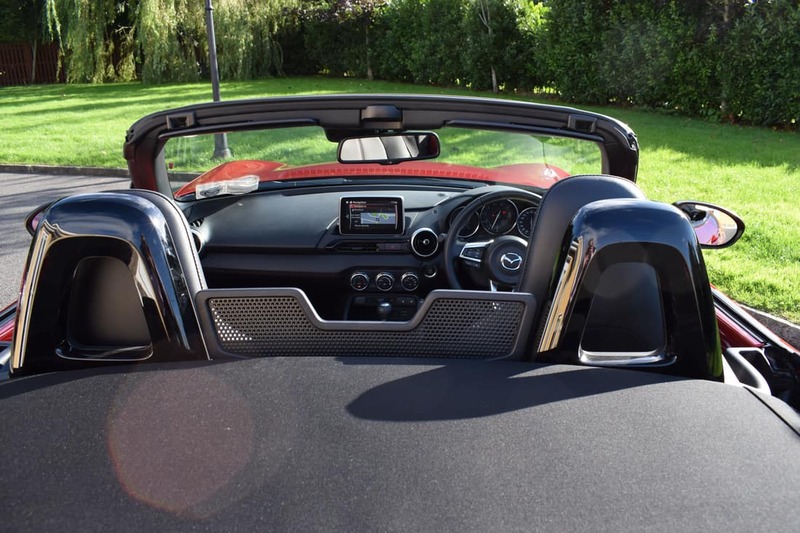 They are also sculpted in such a way that airflow with the roof down is directed to keep the passengers cool while minimising buffeting to their hairstyles. 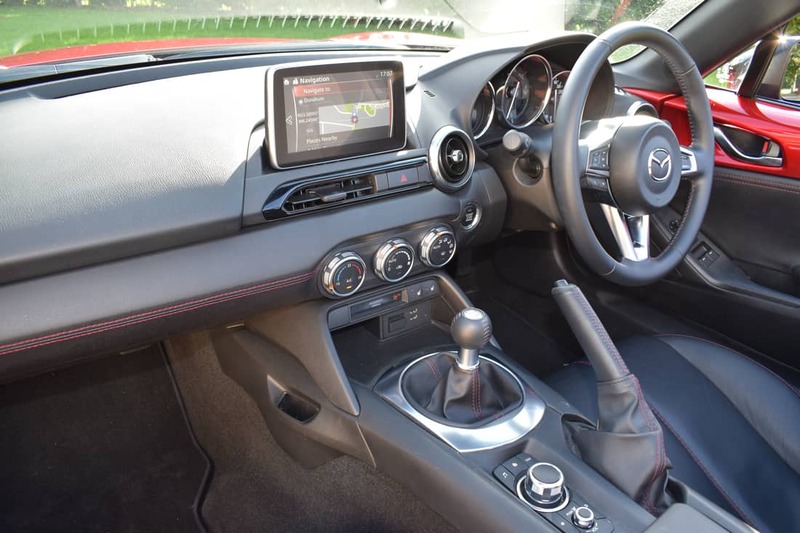 The new Mazda MX-5’s dash is dominated by an iPad-like, 7” touchscreen, controlled through a rotary dial on the centre console. Underneath that there are three circular dials for the climate control. The instrument panel and air vents are designed to be perfectly symmetrical around the driver, for a cockpit-style feel. 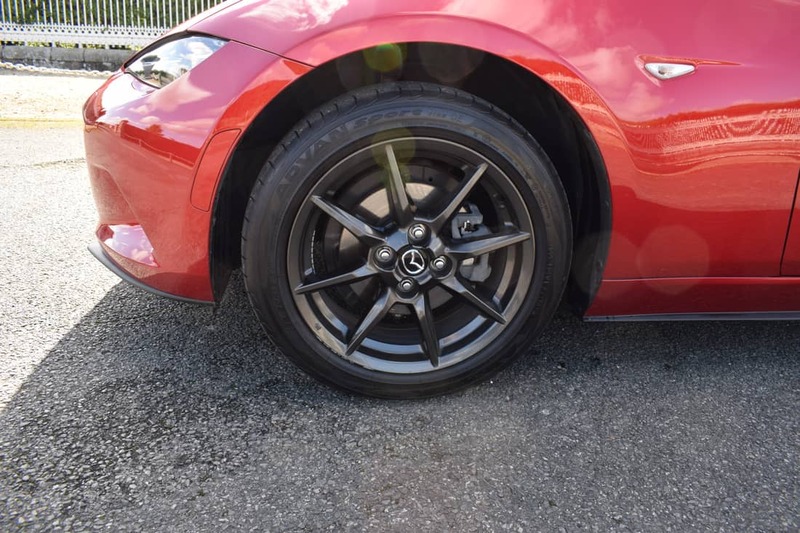 The seats have been moved 15mm closer to the centre line of the car and 20mm lower in the chassis, putting you closer to the Mazda’s centre of gravity. 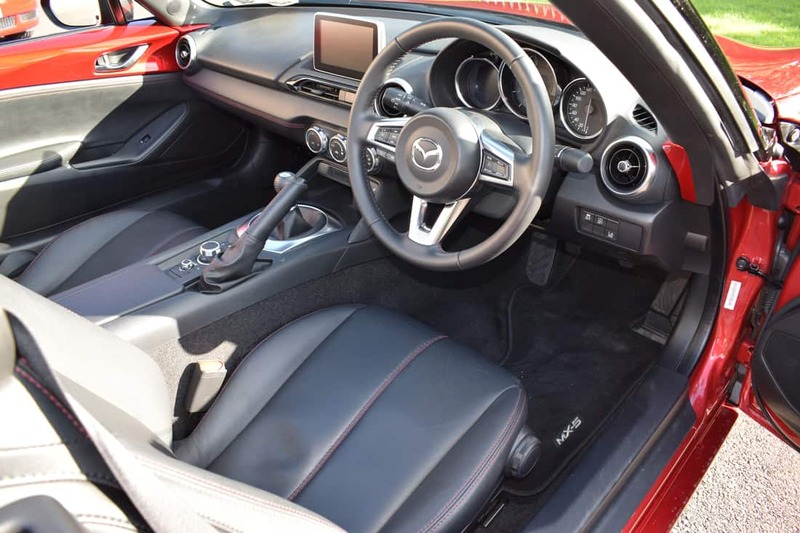 Overall, the new MX-5’s cabin is a pleasant place to spend hours of driving fun. Boot space is reduced over the old model by 20 litres to 130 litres overall, but cleverly the load area has been reshaped so that it can swallow two carry-on suitcases – something that the old model could not achieve. 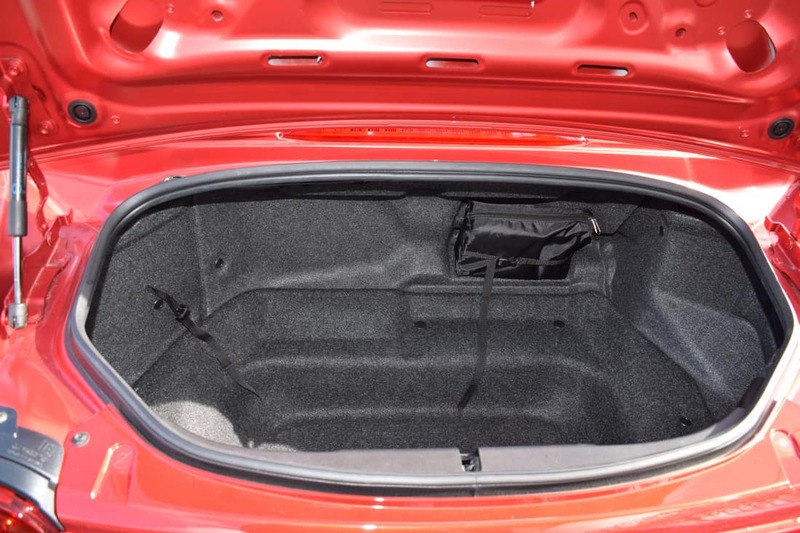 The boot opening is 821mm above the ground, while the fabric hood stows away in a slot behind the rollover hoops, so it doesn’t eat into the limited luggage capacity. 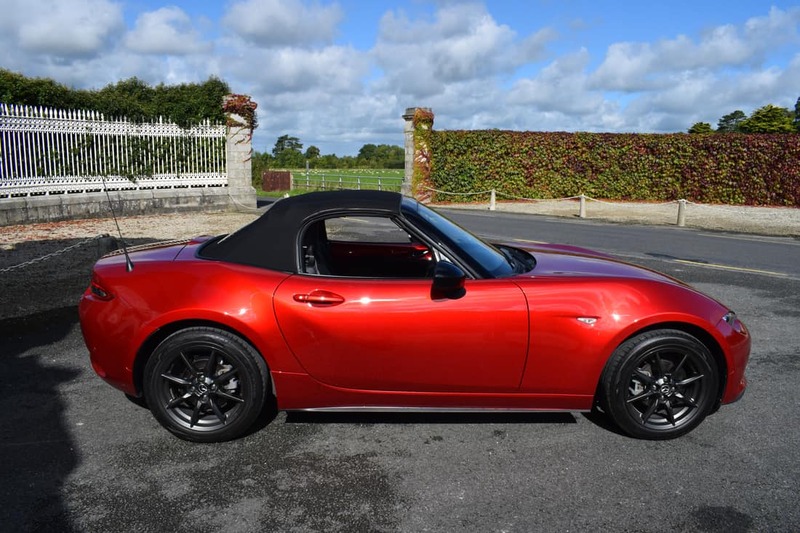 With prices starting at just €27,995 the new Mazda MX-5 provides drivers with an excellent fun-to-value ratio. The iconic Mazda MX-5 lives on. 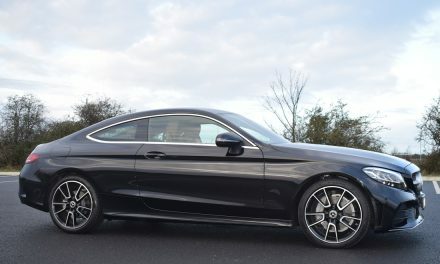 New Mercedes-Benz C-Class Coupé – C200 AMG-Line Automatic.